My blog and my YouTube channel are relatively slow-moving. I tend to believe it’s because I’m compelled to share stories or news as I do things with the car. I had more to say when I was modding the car, although I must admit that my mod-journey was slow, too. Once my mods were 99% complete (are they ever 100%? ), the stories sort of halted since I don’t pursue many car-related activities such as autocrossing, drag racing, or car shows. I’m sure you don’t want to read about my commutes. 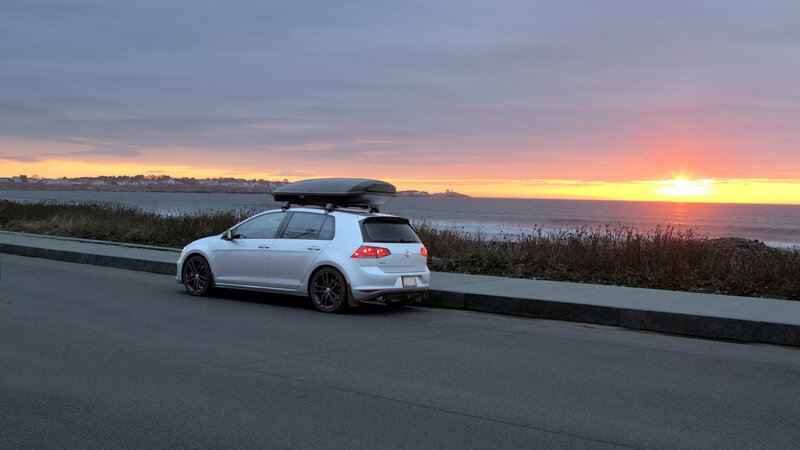 But I’ve got an itch to travel and think my content may shift towards road trips and even camping, all with the GTI (of course). My career in the U.S. Coast Guard gave me a lot of opportunities to travel. I didn’t realize I’d miss road travel so much until I transitioned to civilian life and a stationary job. I feel a call to the road. However, my travel options are limited since time off is precious at my current job. Coincidentally, I’ve been intrigued by a type of adventure known as “Overlanding.” Overlanding involves self-reliant vehicular travel, often to remote locations which cannot be accessed by passenger cars. A majority of overlanders use 4x4s for their off-the-grid adventures (at least it seems that way). Obviously, my GTI is no 4×4, nor could a Golf R or Golf AllTrack take me to the places I want to see. This has me considering a truck or SUV in the future. In the meantime, I want to start an overlanding adventure with my GTI. Obviously, we’d have to stay on paved roads, perhaps with short stints on maintained dirt roads. I’ll refer to my adventure as “microlanding” since I’m wading into this on a small scale. I haven’t camped much in my life. I did some lightweight camping as a Cub Scout and Boy Scout with plenty of supervision. But I simply lacked the interest to stick with it. Twenty years later, I borrowed a tent and sleeping bags so my young daughter and I could have cheap accommodations at a distant weekend car show. That was a poor experience since we arrived in the dark and hadn’t practiced setting up the tent. It’s comical in retrospect, but not so fun at the time. Once settled, we slept well and ate at restaurants. So, we were only sleeping in the woods instead of experiencing the full effect of camping. My other camping experience was during a bicycle overnighter, sometimes called an “S24O,” about four years ago. 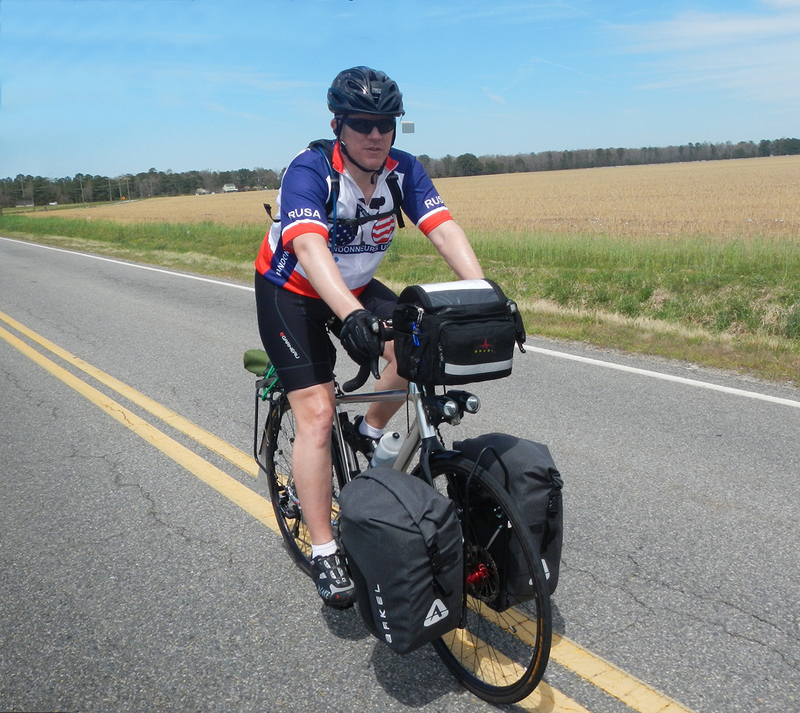 We carried our camping gear on our bicycles for the 94-mile round trip. So weight management was key. Saturday’s dinner and Sunday’s breakfast were simple; I did not cook. I purchased my other meals along the journey. Fast-forward to today and I find myself yearning to explore. However, I don’t want to immediately buy a 4×4 and then discover that I lack the time, money, or interest to stay with it. Instead, I will “run what I brung” and start my endeavor with the GTI. Since my wife and I have never camped together (married nearly 28 years), we’re starting off easy… really easy. Our first outing was an extended road trip to York, ME. With 1600 miles of driving in only 3.5 days, it’s easy to imagine that we spent more time on the road than at our destinations. That was on purpose. First, as mentioned above, time off is precious. As much as I would have preferred to take a week for this trip, I simply did not have the personal time off (PTO) balance to spare. Second, we hadn’t been on an extended road trip in a while… just the two of us. So I wanted to maximize our time confined to the car to see how well we tolerated the ride. We both love our Internet services, but were off-grid while on the road. I think it went well. Why Maine? 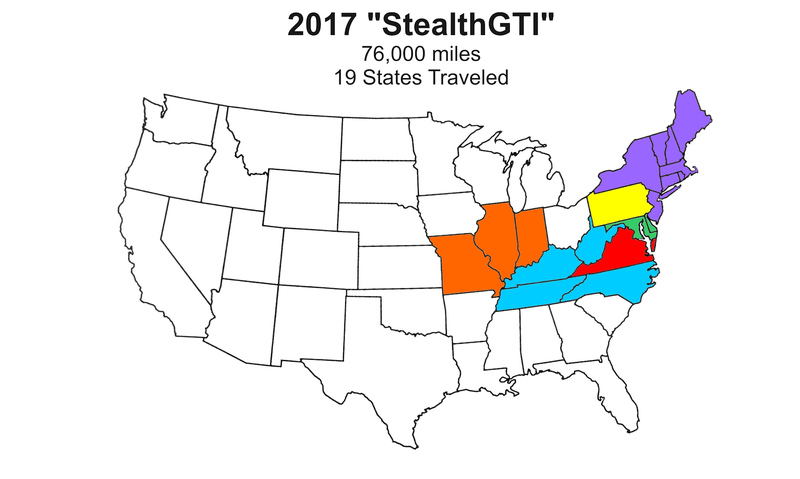 I have a nutty goal to travel all CONUS states in my GTI. The last time I chased a “States Traveled” goal, New England, the Great Lakes, and the Pacific Northwest were the areas that I simply had not been able to conquer due to various time or work conflicts. I knew a trip to Maine would give us a good destination as well as an easy block of states to conquer. It wasn’t as easy as expected. The traffic between home and there was TERRIBLE, even in the dull month of March. There’s no way I’d want to visit during the summer. Still, York, ME was a great destination. 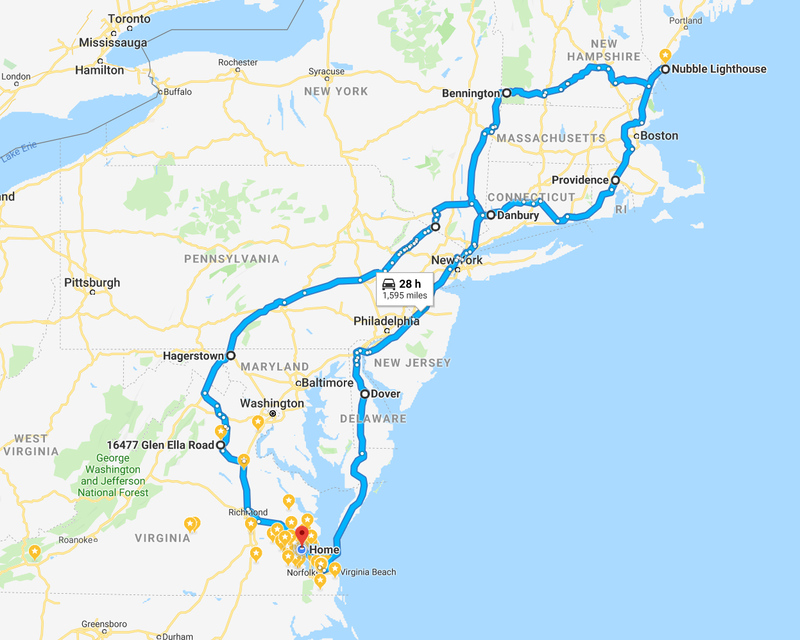 We may go back when we can stay longer and take a route that’s far away from I-95, Richmond, DC, Baltimore, Philadelphia, NYC, New Haven, Providence, Boston, and everything in between. HAHA! Now that we have a long road trip behind us, we’ll try another destination that’s closer, perhaps some sort of cabin stay-over. We still don’t have sleeping bags or a tent that suits our wants. We’re fairly certain that we don’t want to sleep on the ground. 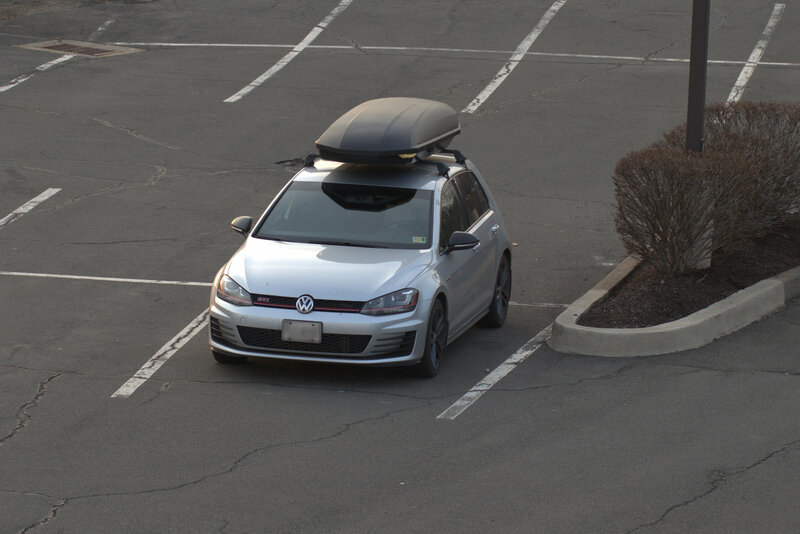 So, we’re looking at rooftop tents that can ride either on the GTI or the baby trailer. 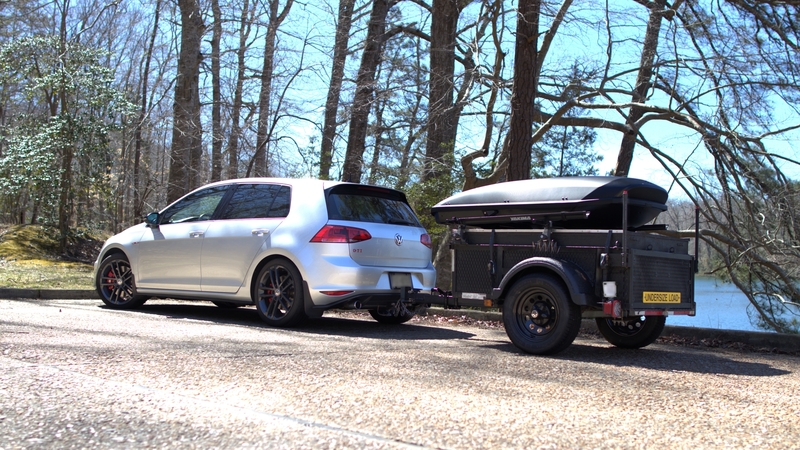 Of course, I’m leaning toward using the trailer since it’s easier to load and would keep the wind noise behind the car where we cannot hear it. Mounting it to my cargo trailer is a possibility, too. The cargo trailer is not large enough to sleep both of us, but it could offer more space for a portable kitchen, canopies, or other options. Plus, it’s weather-proof while the baby trailer allows small amounts of rain water to enter. This entry was posted in Microlanding, Road Trips. Bookmark the permalink.